One of the most significant developments in reproductive technology is cryo-vitrification of oocytes (eggs). This “flash-freezing” technique allows the delicate eggs to be frozen quickly enough to prevent damage. This revolutionary technique that allows us to freeze and later thaw the eggs for use in IVF cycles offers women new options in fertility preservation. Radiation therapy, chemo and surgery can all cause infertility by destroying a woman’s eggs. Depending on the type of cancer being treated, egg freezing may be an option that gives a woman facing cancer the opportunity to preserve her fertility before she undergoes therapy. 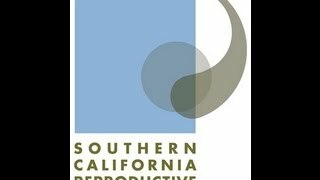 Southern California Reproductive Center was among the first practices in the area to offer egg freezing using the cryo-vitrification technique to patients, and now, a few years later, we are seeing successful pregnancies as those patients return, ready to become pregnant. When patients come to SCRC to have their eggs frozen, they can be confident knowing they are being cared for by highly experienced professionals. All necessary and related services are provided in our Beverly Hills/Los Angeles and Santa Barbara locations, with monitoring offered in our satellite offices. Frozen eggs storage is offered for a nominal annual fee at ART Reproductive Center, located within our center. Oocyte cryopreservation is considered to be an approved procedure for fertility preservation by the American Society of Reproductive Medicine. Looking for more egg freezing resources? Am I Too Young to Freeze My Eggs? What Factors Affect the Costs of Egg Freezing? Is future fertility affected by stimulating ovaries for egg freezing? Dr. Mark Surrey, M.D., Medical Director and co-founder of Southern California Reproductive Center, says research suggests there is no impact on fertility after a woman has had eggs frozen for fertility preservation. ABC7 Health Specialist Denise Dador talks to Dr. Mark Surrey, M.D., Medical Director and Co-founder of Southern California Reproductive Center, about the benefits of egg freezing for fertility preservation. If a woman freezes her eggs to preserve her fertility while in her early 30’s does she use so many eggs she cannot become pregnant naturally? Fertility specialist Dr. Mark Surrey, M.D., co-founder of Southern California Reproductive Center, discusses whether egg freezing can impact future fertility. What is the success of freezing eggs and embryos? Fertility specialist Dr. Hal Danzer, M.D., co-founder of Southern California Reproductive Center, says that the science has advanced a great deal. How safe is it for a woman to freeze her eggs? 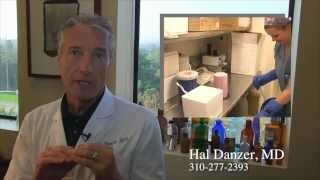 Fertility specialist Dr. Hal Danzer, M.D., co-founder of Southern California Reproductive Center, says with cryo-vitrification, or “flash-freezing,” eggs survive, and thrive, remarkably well. Is there an ideal age to be a gestational surrogate? 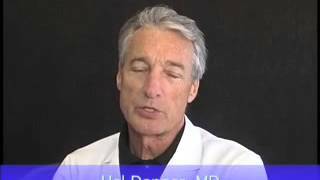 Fertility specialist Dr. Hal Danzer, M.D., co-founder of Southern California Reproductive Center, has an answer that might surprise you. 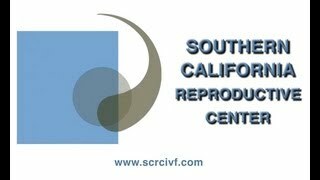 Southern California Reproductive Center uses the latest techniques in freezing a woman’s eggs. Patients says it gives them more choices. How successful is egg freezing? Fertility expert Dr. Mark Surrey, M.D., co-founder of Southern California Reproductive Center, says the new methods used in egg freezing make it very successful. What is the ideal number of eggs for retrieval? How many eggs should a woman freeze? 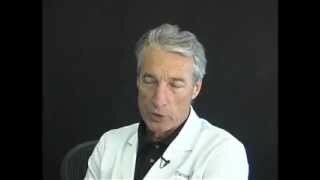 Fertility specialist Dr. Hal Danzer, M.D., co-founder of Southern California Reproductive Center, explains the optimal number of eggs. When should a woman consider freezing her eggs? When should a woman consider freezing her eggs? 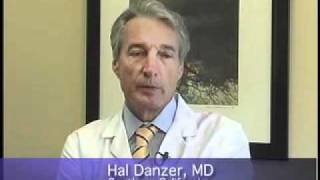 Fertility specialist Dr. Hal Danzer, M.D., co-founder of Southern California Reproductive Center, discusses when a woman should make the decision to preserve her fertility and freeze her eggs. After having eggs retrieved for IVF or egg freezing, how long must a woman wait before she can repeat the procedure? 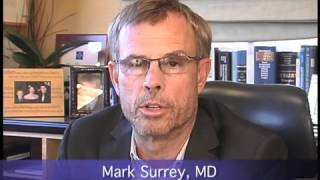 Fertility specialist Dr. Mark Surrey, M.D., co-founder of Southern California Reproductive Center, discusses the factors that influence how long the wait is for individual women. Drs. 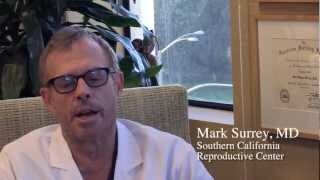 Mark Surrey & Hal Danzer, co-founders of the Southern California Reproductive Center, discuss egg freezing. 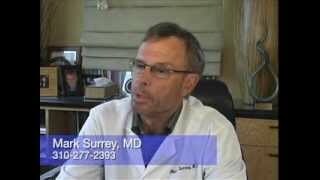 Dr. Mark Surrey discusses egg freezing options for patients that have been diagnosed with cancer. How reliable is egg freezing? 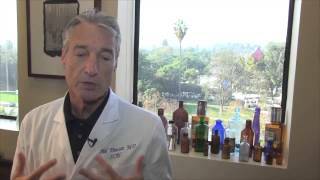 Dr. Mark Surrey, M.D., Medical Director and Co-founder of Southern California Reproductive Center, spoke with Channel 4 News about the major advances in cryopreservation that are giving women more options than ever before.